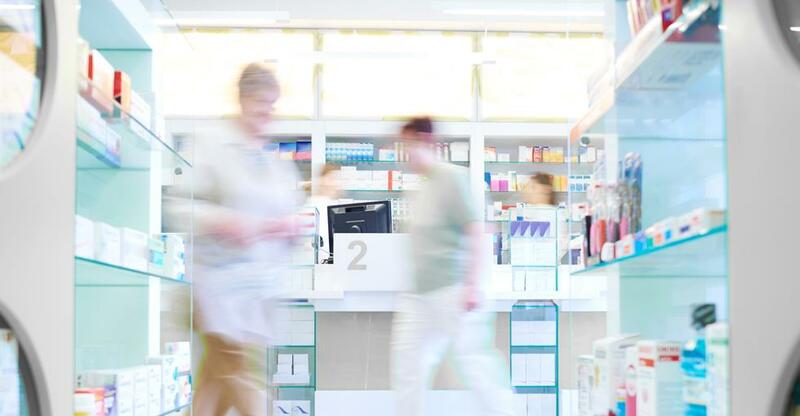 Should You Own a Drugstore Franchise? If you haven’t thought about owning a drugstore franchise before, you should! Like any other business venture, owning a drugstore franchise can be an exciting and rewarding experience. With an industry revenue of roughly $5 billion per year, and long-term job security, pharmacy franchisees have the potential to make a very lucrative and successful career for themselves. If you’ve been trying to decide whether to franchise a drugstore, or simply open or buy an independent retailer, there are several things to take into consideration before taking the official plunge. The market for pharmacies has stayed fairly consistent and well-supported for quite some time. The reasoning for this is that pharmacies provide a service that is unlikely to ever become unnecessary. While many businesses have seen themselves phased out since the inception of the internet (such as brick-and-mortar video rental stores, who’ve become a casualty thanks to online movie-streaming platforms), the pharmacy industry is unlikely to experience this. There are ways to order medications online and have them shipped directly to your home but many people still prefer the option to order and pick up prescriptions in person from a local pharmacy. Additionally, in 2016, more Americans were insured than ever before, which meant that more Americans were able to afford their medications in spite of high, unregulated prices. Even though the individual insurance mandate has since been repealed, millions of Americans will continue to be insured, especially as the largest living generation (Baby Boomers) reaches retirement age and inevitably needs more medical care. While an increasing number of pharmacies are popping up inside local supermarkets and other department stores, such as Target and Walmart, many people prefer to fill prescriptions at their local drugstore, ensuring business longevity and peace of mind for drugstore owners. One of the most important factors when it comes to deciding between an independent retailer and a franchise drugstore opportunity, cost should always be a consideration. With a franchise, startup costs can often be more than an independent retailer would pay, but you basically get a turnkey business served up on a silver platter, which takes a lot of the stress out of this process. One of the major benefits of opening a franchise is the name and brand recognition that comes with it. Because these names are so commonly recognized, there’s a certain amount of intrinsic value and trust for new customers, simply because they already know your business’s name. Franchises also reap the benefits of national marketing campaigns and have to dedicate fewer resources to these efforts themselves. This leaves more time and energy for you to focus on providing the best service possible, maximizing store upkeep, and providing a comfortable working environment for your employees. Whether or not you’re ready to decide today, it can be a good career move to buy a drugstore franchise. Learn more about franchise opportunities.